Bonnie Wiley is a life-long Village resident whose father and brothers built their home on Orchard Lane, which served as part of the edge of the Village in the 1950’s. Bonnie attended catholic schools as well as Obetz Elementary School on Chillicothe Street—now the site of the Obetz Conference Center. Bonnie graduated from Hamilton Township High School, and from Capitol University with a degree in Political Sciences. Bonnie served as a brigade intelligence officer in the reserves at Rickenbacker. She is a member and past trustee of the VFW Womens’ Auxiliary, as well as a member of the Military Police Regimental Association as a former, Army-trained Military Police Officer. Bonnie is a founding member of the Obetz Block Watch Program as well as the Obetz Historical Society. Bonnie is a passionate participant in various animal welfare organizations in Franklin and Fairfield counties. 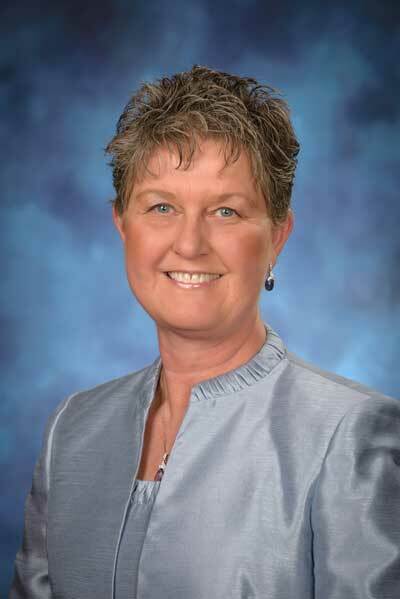 Bonnie is in her third term on the Obetz Council and currently serves as the Council representative to the Obetz Planning and Zoning Commission. In 2001, Bonnie married career military officer—and current Obetz Councilmember—James Wiley.